Hackers. They are those hooded figures stooped over computers, scanning endless lines of code across multiple screens in dark dingy basements surrounded by discarded takeaway boxes, right? Well, if you’re talking about hackers in the movies, then yes. But in reality, hackers may be less clandestine than you think. Of course there are hackers who steal identities and information in order to blackmail people, and infiltrate databases to wreak havoc or take revenge. But we’re more interested in ethical hackers or Penetration Testers, many of whom are employed by the top corporates in the world to make sure that their security systems are airtight. 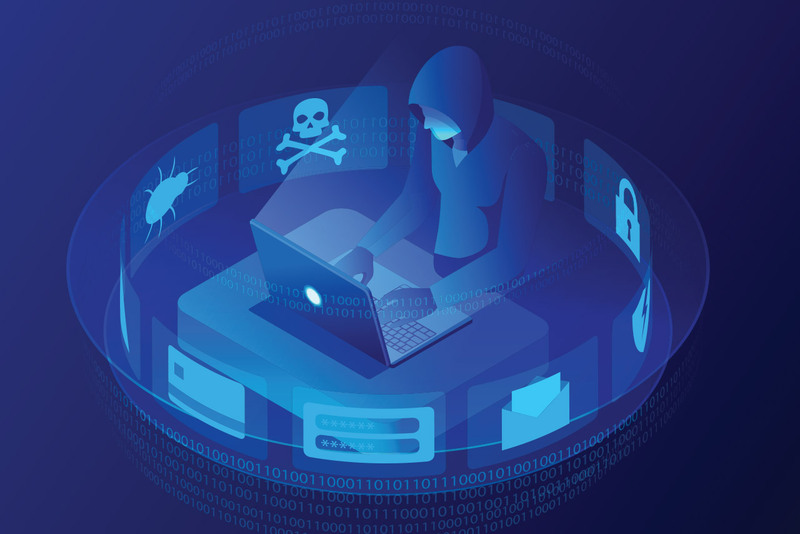 Ethical hackers infiltrate systems and networks to expose threats and vulnerabilities that malicious hackers may exploit. Their skills are highly sought after. Thinking of building a career in data security testing? Then read on, because these are the top programming languages for hacking. The first thing that stands out about Python is its simplicity. It’s one of the most popular languages amongst university lecturers and is a great way to introduce newbies to the world of coding. According to Nicholas Tollervey, Python is the optimum programming language for aspiring coders because it “tries to do the expected thing and will complain if you, the programmer, attempt to do something clearly wrong.” Python also uses common English words for various concepts, making it an intuitive language to learn. It also allows for rapid development and testing, which is essential for ethical hackers. One of the main reasons why tech author, Anchit Sharma agrees that Python is a great tool in any hacker’s toolbox, is its flexibility. It is used all over the world to build everything from web applications to bioinformatics. One of the biggest benefits you’ll have as a Python developer is access to support. There’s a massive global Python community that devs can tap into and learn from. Java enables devs to write computer instructions using English-based commands rather than numeric codes. It’s an easy language to understand , and is thus referred to as a “high-level” language. Most devs will have at least some knowledge on Java, given its popular use in the Android operating system. There are lots of websites and apps that simply won’t work if you don’t have Java installed, which is why it’s so important for hackers to have a basic understanding of how it works. There are a wide range of industry sources that estimate that over 95% of enterprise desktops run Java and in the US, 88% of all computers are running Java. Most sources list Java as being the top programming language in the world, or somewhere within the top 5. The stats are pretty convincing – it makes sense to learn a language that’s being run on the majority of the world’s computers. As an ethical hacker, you’ll need to have your finger on the pulse of the times. C++ can takes years to master so before you choose to invest in a long-term education plan, you might want to consider completing a bootcamp or short course so you can determine whether it’s for you or not. Of course if you’re sure that ethical hacking is where you’re headed, C++ is a worthy investment. Anchit Sharma refers to C++ as the “mother of all programming languages,” because it is highly portable and often used on multiple platforms. C++ is often used in the building of software for Linux and Windows. It is also used for Exploit Writing, which is a type of development that involves the writing of code in order to take advantage of certain bugs in a system. Ethical hackers work hard to make sure that the security systems of the world’s most important networks are absolutely impenetrable. Think about banks, insurance companies and hospitals, all of which rely on massive databases to operate. With the upsurge in big data and cybersecurity hacks, these kinds of companies are investing in Penetration Testers more than ever to protect their data. Ethical hackers may use the same methods used by malicious hackers, but with the permission of their employers and for the purpose of defence rather than attack. Sound like something you’ve always dreamed of doing? Enrol in a Python, Java or C++ course – our mentors are standing by to teach you everything you’ll need to know to master these top languages.